I’ve had a few smartphones and tablets over the years, and one of the things that has always filled me with fear is the possibility that due to some tinkering, I may have bricked the device. “Bricking” a device is the act of leaving the oblong of plastic and metal largely useless, other than as a paperweight. It’s easily done, so we’re lead to believe, and next to impossible to undo. Actually, that’s not strictly true. Whether you’re rooting, installing a new operating system ROM or simply installing an app, bricking can occur but it isn’t as difficult to undo as you might think. Back in the day, a bricked device would be very tough to recover, but over the years some resilience has been built into smartphones and tablets. These days a few clever button presses, useful additional software, a USB cable and a few prayers (the prayers are optional, of course) will sort out many bricking issues. But as it turns out, you don’t even need to go as far as that! When a phone is failing to boot, it can be saved by putting it into a suitable mode, known alternatively as recovery mode, USB mode or download mode. However, when a phone is bricked, it might not be possible to reach this mode without using a combination of buttons. 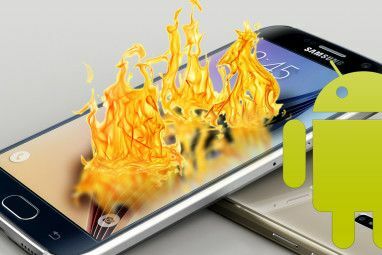 Some phones, however, can be forced into a suitable mode by shorting pins on the USB port (in the case of the Samsung Captivate, for instance). One enterprising user wasn’t able to get hold of suitable resistors, however, so opted for wires, paper clips and graphite from a pencil to act as a variable resistor (as bonkers as that might sound). While we wouldn’t suggest you go this far, a search online to find out how to force a newly bricked phone or tablet into the correct recovery mode should be your first task. Yes: You Can Unbrick iOS Devices! A seemingly bricked iPhone, iPad or iPod is unlikely to actually be bricked. Isn’t that a relief? You should start by plugging it into the mains to recharge/maintain the charge. Problems can occur when an update is installed, but these can almost always be resolved. Whilst plugged in, attempt to reset the device, by holding the power and home buttons for up to 10 seconds. If this doesn’t work, attempt to switch on as normal. After the phone has booted, you would be wise to restore iOS by connecting to iTunes and downloading the latest version for your device. Failing success with the above, restoring from iTunes can also be attempted after putting the device into DFU mode, which is done by holding the home button while connecting the phone to your computer via USB cable. Android devices are usually pretty flexible when it comes to connecting them to a computer and installing (also referred to as “flashing”) an update (known as a “ROM”) using free software known as ClockworkMod Recovery. Return to the forum/resource where you downloaded the flash tools and update from and search/ask for advice. If the phone only boots as far as the recovery screen, you will need to find an alternative ROM to install and copy it to your device. Installation can be performed through recovery. Should the device appear to be caught in a reboot cycle, you will need to use ClockworkMod Recovery to clear the cache data using the options Wipe Dalvik Cache, Wipe Cache Partition and Wipe Data/Factory Reset. The errors can cause problems if installation of the new ROM is being performed using the SD card How To Choose The Right SD Card For The Job How To Choose The Right SD Card For The Job SD cards aren't all about storage! In fact, there are several other factors to consider, and when purchasing your cards, you should make yourself aware of them. That said, SD cards aren't all created equal,... Read More . In this situation, remove the card, reformat, and try again. Persistence is key! While research and persistence is the key to getting your Android device back up and running, if it is within warranty you might consider returning it to the vendor and claiming ignorance. Note that this may not work – but if all else fails, other than ending up with an expensive paperweight it is arguably your best option. You Charged Your Device, Right? I recently discovered that my HP TouchPad was effectively bricked, which came as quite a shock as I’ve become particularly attached to it over the past few months. Fortunately, it turned out that the problem wasn’t due to an internal hardware fault. Rather, the device simply wasn’t charging correctly. This revelation brought with it some interesting problems, but these were eventually resolved when it transpired that the charging issue was due to an incorrectly-seated mains adaptor HP TouchPad Not Charging? Don't Worry, It's Probably Not Bricked! HP TouchPad Not Charging? Don't Worry, It's Probably Not Bricked! The HP TouchPad is a remarkable piece of kit. This tablet computer with its dual core CPU was released with a buggy version of the webOS operating system back in mid-2011 and failed to capture... Read More . Like many electrical goods, the HP TouchPad ships with a modular mains adaptor that can be switched depending on which country it is bought in. This adaptor has a bayonet-style attachment, but this can become undone if used regularly without the device coming apart. The result is a device that looks like it is charging, but isn’t! Charging issues can lead to a seemingly bricked device, so make sure you check cabling and connectors. Actually, Your Phone Isn’t Bricked – The Screen Is Broken! It’s easy to get your terminology wrong when referring to problems with phones and tablets. After all, a device might appear to be bricked when all that is wrong with it is that the display is broken. 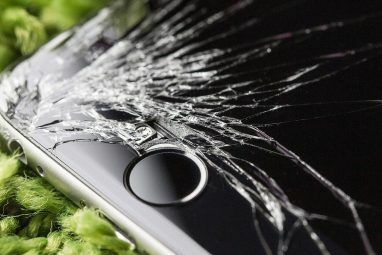 This can happen in various scenarios, but with a touchscreen device, a broken display can mean that there is no way for you to use the phone. It is to all intents and purposes bricked, but in this case it is easily repairable. You’ll need to track down an engineer who is able to make the repair with the correct spare part, or try yourself. The Guide To Replacing a Damaged Mobile Phone Display The Guide To Replacing a Damaged Mobile Phone Display The Guide To Replacing a Damaged Mobile Phone Display If you have damaged the screen of your mobile phone – perhaps you dropped it or sat down while the device was in your pocket – you’ve immediately given yourself a headache. Can the phone... Read More explains this in more detail. 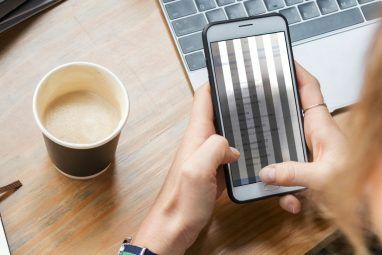 Smartphones and tablets might stop working for any number of reasons, from low charge to problems with the USB connector. Being able to “unbrick” a device is useful as it saves you the trouble of having to splash cash on a repair while giving you an immense feeling of satisfaction when you get the smartphone working again. Ultimately, however, these are simply tips, workarounds and shortcuts that might enable you to get a smartphone or tablet working again. There is no guarantee that any of these tricks will work, so be aware that a bricked phone might well require expert technical assistance to get working again. Explore more about: Custom Android Rom, Jailbreaking, Smartphone Repair. You should find some support for that exact device type. The forum at xda-developers.com is a good place to start. my phone would turn on, saying that "Android is starting" "optimizing app", I'll turn on, then after a moment or two it will suddenly shut down. I just rooted it an hour ago. Can someone help me. Hi Krish, this report suggests the rooting hasn't been successful. I would suggest repeating the process. If you rooted, there was a button press combi to access the bootloader. Use this, disable fastboot, and try again. 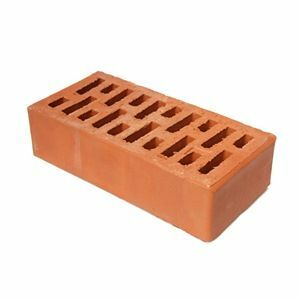 Is this soft or hard bricked? My phone wont switch on, or vibrate when connected to charger, I've tried different combos (power, volume, home) but it's completely unresponsive. The only indication it isn't completely dead is when I plug it into the computer, it makes the connected noise (no vibrate) but it doesn't show on the computer. Could this be fixed by a JIG or is it hard bricked? Thanks. Nokias can be "unbricked" with a software called phoenix even if it freezes immediately after turning it on. Have the software (downloaded after google search) and the right firmware ready, connect the turned of phone (if it froze, take the battery out and put it back in). Then start the phoenix softwar. There are instructions how to do it as well on the web. It worked for my nokia. great tip, Karsten, thanks for sharing! I haven't bricked anything yet, but I've been afraid it would happen enough times to appreciate this post anyways! thanks. I'll try the Android trick to un-brick an old Android I have. If it works I can finally get a few things off of that! Nice article. Smartphone and tablet are now easily unbricked these days. I've had some Nokia phones, a couple of iPhones and Android tablets bricked when tinkering too much with them. But after a couple of hours everything works well. Though you will lose every content on that device. The hardest unbrick was opening a generic android tablet and desolder the battery to fix boot loops. And its working perfectly now. In any case, tinkering with your device is actually at your own risks. A very nice explanation and some good advice. If a smartphone is "bricked" when it stops working, would a tablet "cinder-blocked"? looks good. psoted it to my my data recovery blog: http://free-data-recovery.blogspot.com/2013/01/from-make-use-of-are-you-sure-its.html.